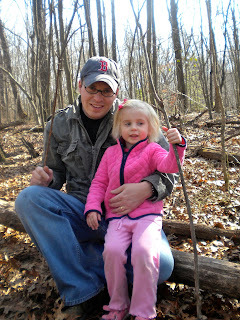 Here are some pictures of our first "official" hike on a trail. While we have been out exploring before, we have not taken the kids on a real hiking trail. We found a fairly easy path that was probably as flat as it gets out here. We did come across some amazing views and several streams. The kids loved walking over the bridges and throwing sticks into stream.